The head of delegation H.E Mr Tsogtgerel Batchuluun, the Vice Minister of Road and Transport Development, Mr Otgonbayar Lkhamsuren, Deputy Permanent Representative of Mongolia to the International Maritime Organization, Mr Tuvshintur Saranjav, Head of Mongolian Maritime Administration, Mr Nyamdavaa Buuvei, Senior specialist of the Ministry of Road and Transportat Development have been representing the Government of Mongolia to the 30th Assembly of the International Maritime Organization is being held in London between 27 November and 7 December 2017. The Vice Minister has presented a speech in the opening session of the Assembly and briefly introduced policies and recent achievements in the waterway transport industry of Mongolia. The Assembly is the IMO’s highest governing body. 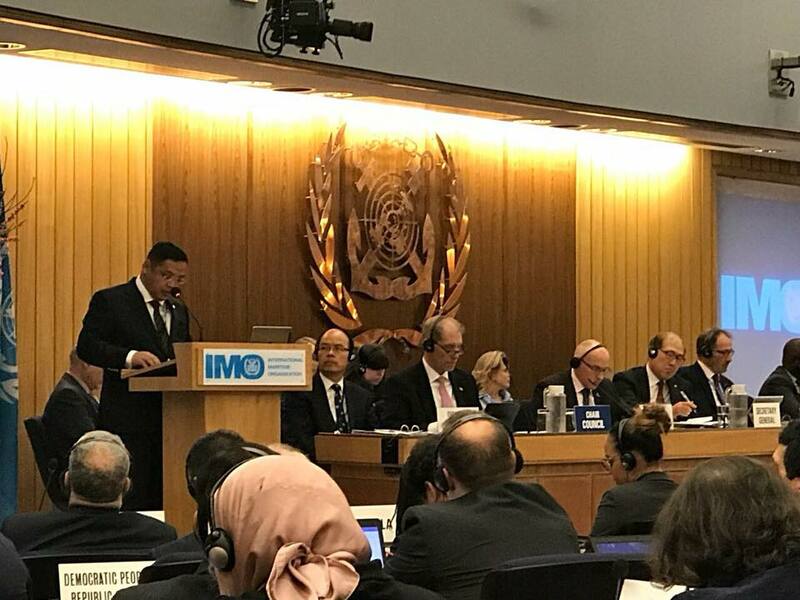 It responsible for approving the work programme and budget; and determining financial arrangement and electing IMO Council. The Assembly consists of all IMO Member States and meets once every two years. 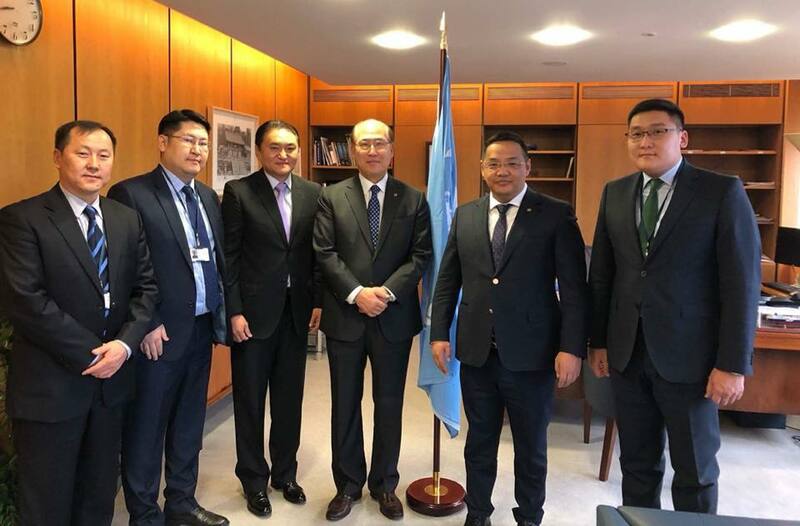 During the Assembly, the delegates of Mongolia met H.E Mr Kitack Lim, the Secretary-General of the IMO and discussed further cooperation with the IMO.